Current weather reports 1000 foot overcast skies… anyone for a hop & pop? In all seriousness, how low are you prepared to get out of the airplane? Have you thought about what you would do in an emergency since you were a student? Now being that the airplane wasn’t real full and that the SuperVan climbs so fast, my response to comply with the instruction was a pretty quick reduction in power and a push forward on the yoke to level off. The next thing I heard? Seriously, even through my noise canceling headset you could almost hear a pin drop from what I’ve come to expect as a noisy group of people chatting about anything and everything, and expressing their energy and excitement for the upcoming jump. After about two minutes the traffic had passed and we resumed the climb, at which point a rather more subdued than normal tandem instructor asked me “Traffic?” and seemed rather relieved for me to nod yes, knowing it wasn’t a real emergency. What is your lowest exit altitude? There is no one answer for this question as an experienced jumper. There are the numbers we teach in our STP program, but for jumpers who have different gear considerations, there may be different numbers. For example, a tandem instructor is supposed to ride the aircraft down at an altitude that an STP student and their instructors could exit safely on a reserve. An experienced jumper with a sub-100-square-foot crossbraced canopy is going to be making a different decision than a highly experienced CReW dawg. What will you do with your helmet and or goggles? Have you thought that you might have to leave gear in the aircraft? Could you safely do a hop and pop without goggles or a helmet on? Is your gear ready to skydive? Of course it is, because we jump at Spaceland and no one should be boarding the aircraft without gear that is tightened down and ready to jump. Can you get your own seat belt off, and at what altitude should you remove it? As a tandem instructor, mine stays on higher than the usual 1500 AGL. Speaking of seat belt, consider its location and how you’ve got it attached. Will it keep you restrained and prevent you from causing injury to others in the event of a forced landing? Ideally it should be around you (in an Otter/Skyvan with side benches) or connected to your harness as close to your center of mass as possible and have the shortest run to its floor or wall attachment point (straddle benches/floor seating). Who makes the call to exit? The pilot is of course the final authority over all aircraft-related things including if it’s safe or permissible to exit. That said, the pilot’s workload goes up exponentially in an emergency and disturbing him/her at this time might not be the best course of action. Instead, be as ready as possible to exit or be prepared for a forced landing. If the pilot wants jumpers to exit, he/she will inform them after taking care of the immediate emergency and its associated workload. Trust me, we’d rather land empty when things are going wrong, but we will consider whether it’s safer for the jumpers to stay or not. Who should you listen to in the airplane? Usually the pilot will communicate through one jumper, often the person sitting behind the co-pilot position. Ideally this should be an instructor or other highly experienced jumper who can remain calm and relay instructions clearly. Everyone else should keep quiet, listen, and obey without question. There’s plenty of time for discussion after everyone lands; now is not the time. Will you remember to not overload the rear of the airplane, and to keep the exit orderly? How much separation is needed if everyone is taking no more than a 5-second delay? I can’t think of very many situations where anything other than solo exits would be advisable for anyone other than students or tandems. Climbouts are going to increase the danger to everyone, so don’t do them. Freefall is not recommended, so exit separation can be kept to a minimum since freefall drift won’t be a factor. Keep in mind if the issue is the loss of an engine, the aircraft may very well be descending and the pilot may want the aircraft emptied as quickly as is safely possible. This is something locals should have a pretty good idea of; we spend so much time in the aircraft on the climb to altitude, and we should spend some of it looking outside for the options we have for off landings. Your pilots have. Your safest option may be an off landing even if you think you can just barely make it back to the DZ. If it is back at the drop zone, remember that the pilot may be trying to return there in an airplane that has no power to perform a go around and avoid you if you make the mistake of crossing the runway at a low altitude. Follow our runway crossing guidelines in all situations (do not fly over the runway under 1,000 feet if aircraft are using it or approaching). I think the jumpers at Spaceland have a great chance of responding properly to a problem since we have some of the best training and resources in the sport, period. I also think we have some of the best aircraft in the industry and I trust every one of them; if I didn’t, I wouldn’t fly them or jump out of them. That said, if you haven’t thought of YOUR answer to the questions above, maybe you should take a few moments to do so. 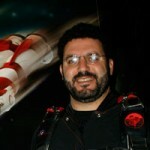 I guarantee your pilots have…..
JP Furnari started skydiving in 1999, has completed nearly 12,000 skydives is a USPA Tandem, and AFF instructor, freefall photographer, Profesional Exhibition Rating holder, Former SkyVenture Wind tunnel instructor and Safety and Training Advisor. In addition to multiple 100+ way formations he has competed in 4way, and medaled nationally in Canopy Piloting. He holds FAA Commercial Single and Multi Engine airplane ratings, and while not holding a current FAA riggers ticket has worked extensively in the gear sales and rigging industry. Previous PostPrevious Keep Learning with Facebook!